Selling your home is always stressful. Selling your house when separated because you have to sell makes it that much harder. 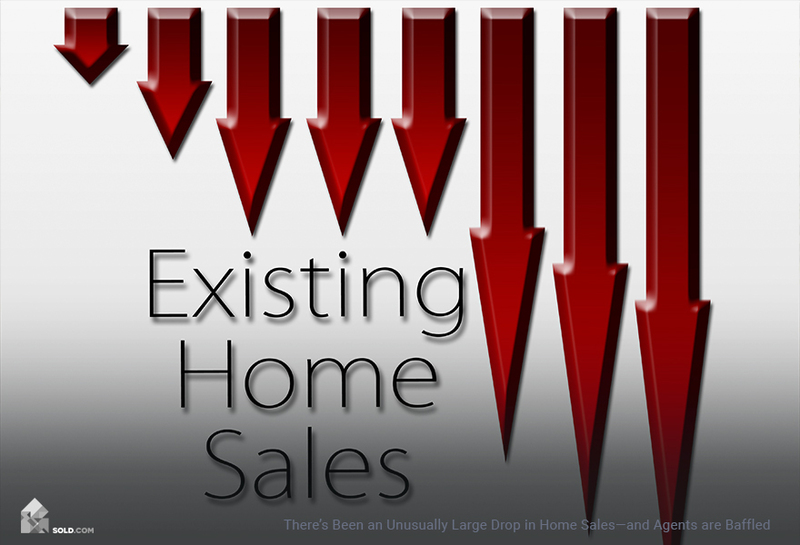 But there are some home selling tips to make it a bit easier. No one goes into a relationship thinking about how it will end. When you and your partner or spouse bought a house together, you weren’t thinking about what to do with it if the relationship ended. But now, here you are. In all the emotional upheaval, you also have to think about practical matters – such as selling your house. There are some special considerations you need to keep in mind for selling your house when separated or divorced. Get Financial Advice – If you and your ex co-own the property, chances are it’s one of your biggest jointly-held assets. This is the case even if only one of you is on the loan. Jointly-owned homes generally remain jointly-owned, even after a divorce – unless a judge has decided otherwise. Also, a sale will have tax implications for both you and your ex, so make sure to talk to your accountant or financial advisor before putting the house on the market. Get Permission From Your Ex – This may seem obvious, but if your ex is on the deed to your home, you can’t sell it without them signing off. It doesn’t matter if you live in the house, or if they’ve verbally agreed the house is all yours. If they are one of the legal owners, you need their signature in order for a sale to go through. While you don’t need your ex’s signature in order to list your home for sale, be aware that if the broker sells your home and your ex won’t sign off on the deal, the broker is still entitled to a commission. If you don’t pay them, they could take you to court. If your spouse’s name is not on the deed, that does not automatically mean you can do what you like with the house. If you bought it before your marriage and it’s in your name alone, then you’re probably in the clear. However, in a community property state (like California) – and even some states without community property laws – a home purchased during the marriage is considered marital property, regardless of whose name appears on the deed. Relocate Your Ex – If your ex is living in the house, they have certain rights, even if they don’t have an ownership stake. You need to put aside personal feelings and treat them as you would any other tenant occupying your property. If they do not want to move, you may need to go through a formal eviction process. The laws on tenant-occupancy vary a great deal from state to state, so check with a real estate attorney if you are uncertain how you need to handle an ex who refuses to leave. Make Sure You and Your Ex Agree – You are your ex are never going to agree on everything – if you did you probably would never have broken up in the first place! But you do need to ultimately agree on who gets what once your home is sold – and this isn’t always obvious or straight-forward. Did you bring the money for the down payment, but your ex handled the monthly mortgage? Or maybe you split everything equally until the home needed a new roof and YOU had to pay the entire $15,000 cost yourself? Any special arrangements like this should be documented in writing – particularly if you want to claim anything other than a 50/50 split on the proceeds of the sale. If these arrangements weren’t made in writing (they often aren’t when couples are happy), then you and your ex need to have a discussion. If they made contributions you did not, be prepared to give them more money from the sale to compensate (and they should be prepared if the reverse is the case). It may not be easy to reach an agreement, but if everyone remains rational and objective about what has been spent, you should be able to come up with a fair split. If you can’t do it yourselves, you can always take it to court. In pretty much every state, two names on the deed create the legal presumption that you are 50/50 co-owners. Anyone claiming a different percentage has to prove it (which may be difficult, if nothing was in writing). In any case, do all this before you put the home on the market. A battle over these issues when you’re in escrow is sure to delay closing and may jeopardize the sale. If your ex is fine with selling your jointly-owned home, get that in writing as well – and get it notarized. If your ex won’t consider a sale, first try some sort of mediation or arbitration. If that doesn’t work, you can petition the court to amend the divorce decree ordering the sale of the property. Or if you were not married, you can file a partition lawsuit. Any owner of real property can file such a lawsuit, compelling the sale of the jointly-owned property. Keep in mind, this can get expensive (legal fees and court costs), so always try mediation first. Choose a Realtor Who’s Done This Before – While there are literally millions of experienced realtors across the U.S., you want to find one that has worked with divorcing (or separating) couples before, and is sensitive to the issues and feelings that can arise during the whole sales process (you might want to read our article How to Find the Best Seller’s Agent). You and your ex should both interview prospective candidates (whether together or individually). Come up with a ranking system of several key traits (overall knowledge, demeanor, willingness to work with your particular needs), and then each of you should rank your choices before discussing it. Let the numbers make the decision – the realtor with the highest overall score gets the job. 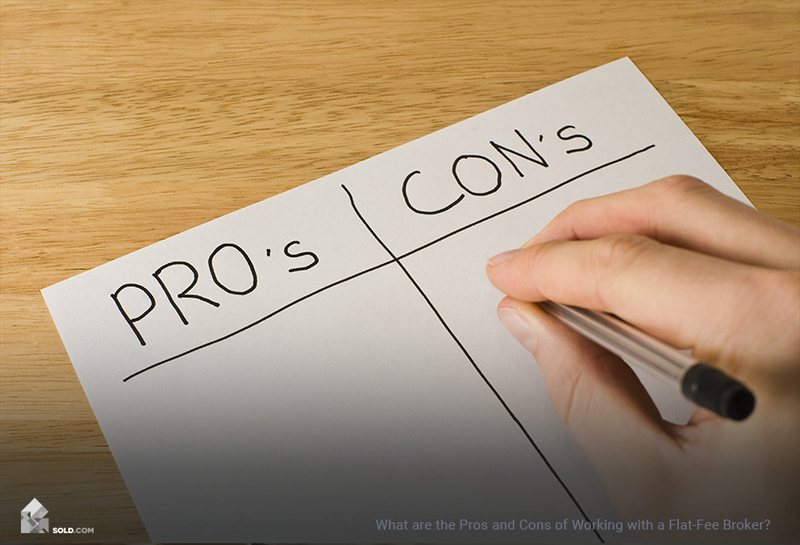 Discuss pros and cons only if the rankings are tied or very close. If you agree to this system (or any system) ahead of time, you can avoid arguments down the road. Can I Sell My House Before the Divorce? Finalizing a divorce can take time –and you may need to get out from under your house payment NOW. Or maybe you need to relocate immediately for a new job or just to get started on your new life. 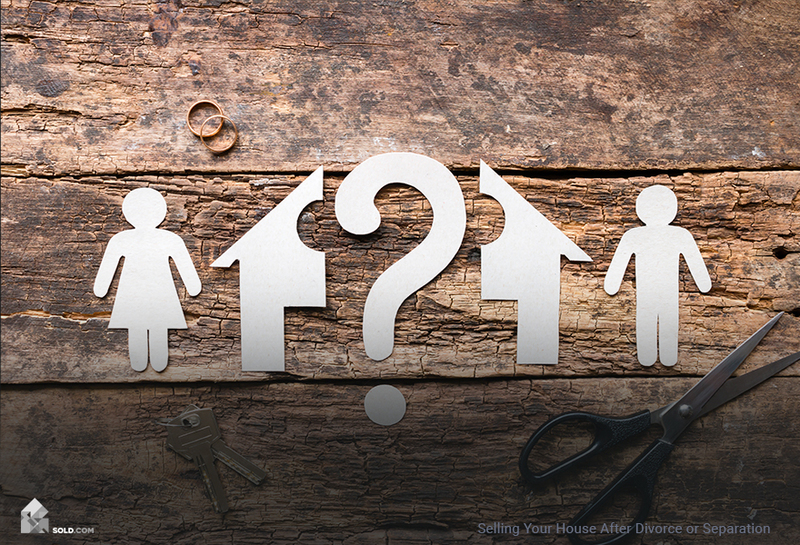 So, should you sell the house before or after the divorce or break-up? If you and your ex are on good terms and agree that the house must be sold, there’s no reason to wait for the divorce to go through. As long as you both sign off on the sale, it makes no difference whether it happens before or after the divorce. Just be sure (as discussed above) that you’re clear (in writing, if it’s other than a 50/50 split) on how the proceeds are going to be shared. You should also discuss who will be in charge of the sale, or how the seller’s responsibilities are going to be divvied up. Will, you or your ex be the one picking a realtor, fixing up the property, staging it – showing it or arranging for it to be shown? As long as you are in agreement on these issues, then they really aren’t issues. But all these details should be discussed and agreed-upon before you list the house for sale. Selling your house when separated can be a difficult project because divorces and breakups often are difficult. What you don’t want to do is bring that drama into the sale of your home. Buyers want not just a clean environment – they want a clean sale. That means no delays while you and your ex fight over who should pay for repairs that came up during the inspection, or how proceeds from the sale should be split. 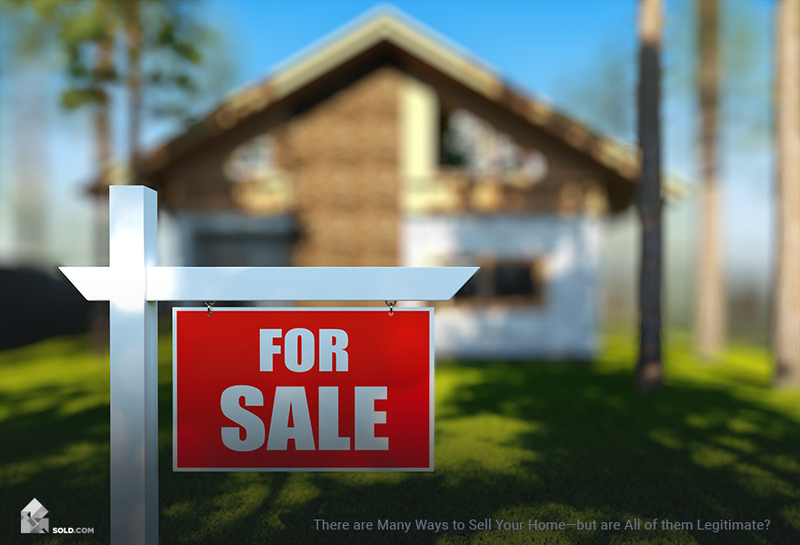 Resolve these issues before placing your home on the market, and you can have a relatively low-stress experience selling your home.